Jang Na Ra (Go Back Couple) has been offered the lead role in the new drama Dog, Witch, and Me. Dog, Witch, and Me is a romantic comedy about a quirky triangle between a blind, snobby heiress, her devoted dog, and the veterinarian who trained the dog. I had been wondering what had become of this drama since it has been ages since anything has been said about it. Kang Ha Neul (Moon Lovers: Scarlet Heart Goryeo) was previously offered a role, but he has since enlisted in the military. I already thought the quirky description for this drama was cute, but I love Jang Na Ra to pieces, so if she signs on I will be so thrilled! I can already picture her bringing her charm, humor, and talent to this role. She sure is a busy woman though! Dog, Witch, and Me is looking to air later in 2018. This entry was posted in News and tagged Dog Witch and Me, Jang Na Ra, kdrama, Korean Drama. Bookmark the permalink. It’s so weird how you say the precise words that I’m thinking! 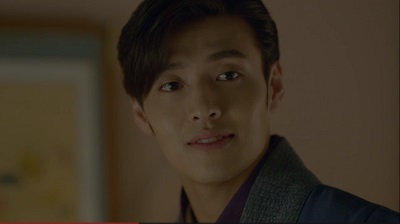 “I already thought the quirky description for this drama was cute, but I love Jang Na Ra to pieces, so if she signs on I will be so thrilled!” I can’t wait for Kang Ha Neul to come back to us, he’s adorable and super funny and I think he would have been great for this role.